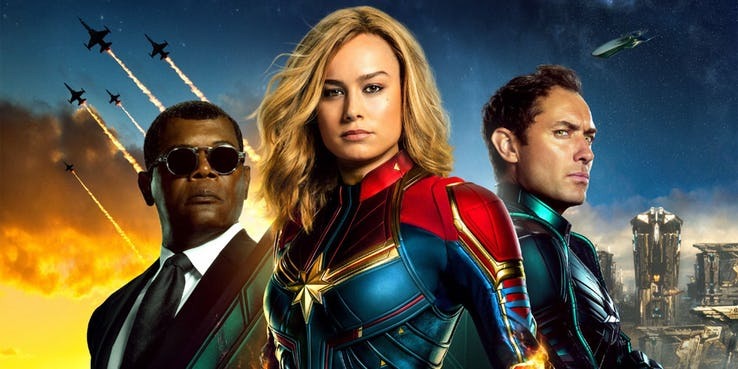 Captain Marvel is one of the most anticipated films of 2019, coming in second behind Avengers: Endgame according to Internet Movie Database (IMDb). However, that’s not stopping people from trashing the upcoming MCU film on Rotten Tomatoes, a few weeks before Captain Marvel debuts. The audience reviews page is full of negative and angry reviews for Captain Marvel. While there are some genuine comments, there’s nothing too exciting for it. Most comments or review have a common theme: anger about Captain Marvel centered around a female hero. A number of comments cite various issues perceiving that Captain Marvel is sexist for a variety of reasons including but not limited to Brie Larson’s hero backing on a campaign to send other privileged girls to see Captain Marvel. a number of trolls complaining that the movie is a “social justice warrior” or “SJW” movie. Some have even lodged complaints against Captain Marvel which won’t hit the theaters until a few more weeks. This is the same that happened with Star Wars: The Last Jedi which received negative reviews even before its release. This isn’t the first time fans have tried to sabotage a new Marvel film. Last February there was an organized effort by fans to attack Black Panther with negative reviews. While fans claimed that their efforts were revenge for poor reviews for Justice League and anger over The Last Jedi, many fans cited their complaints about Black Panther being centered around a black hero. With false reviews of Captain Marvel attacking diversity, be it race or gender-related, it feels like a pattern. There’s obviously a better pattern that could emerge from all of it. Despite the sabotage, Black Panther is the ninth biggest film in the world, with more than $1.3 billion. The film has also been nominated for seven Academy Awards, including Best Picture. Captain Marvel is currently eyeing at a $120 million opening weekend.